Problems with tanks and lines can inhibit the performance of underground storage tank systems and negatively impact your bottom line. Periodic testing of your tanks, lines, leak detectors and ATG ensures proper operation and leaves you with peace of mind. Our technicians are certified to precision test a wide variety of underground tank systems. In addition, we carry a diverse supply of UST system parts that can be replaced and retested as an integral part of our service, eliminating the need for additional site visits and saving you money. Is your Stage II Vapor Recovery system compliant with the California Air Resource Board (CARB) executive orders? Does your state have different guidelines for your vapor recovery system? What are your testing requirements? Has your state program approved Stage II system decommissioning? The answers to these questions are constantly changing, creating a burden and source of risk for station owners. We aggressively track federal, state and local regulations and can satisfy all of your vapor recovery testing needs. Our experienced technicians can test a wide variety of vapor recovery systems and have the training and experience to troubleshoot and correct common system faults. 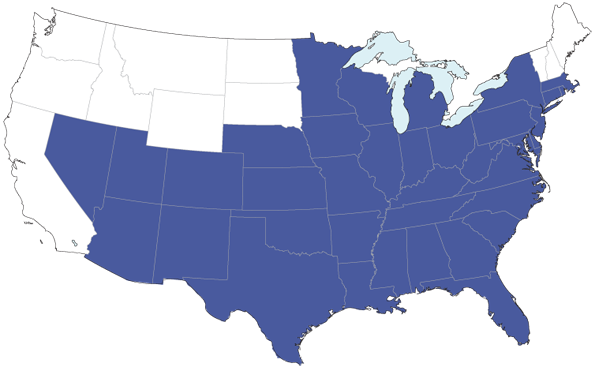 Valley tank testing currently provides testing services in over 30 states, expanding continously to meet our growing customer network. In addition, we are always available to take on specialized client projects anywhere in the United States.